*Must be 18+. If you have psychological disorders (such as psychosis, clinical depression, schizophrenia, etc), we advise that you do not attend this course. This course is the ideal opportunity for you to meet our trainers (Kate and Rory) and to try out hypnotherapy training before you decide whether hypnotherapy is the right career choice for you. This course doesn't include a "hard sell" because we know our training is excellent, so we don't need to do that! This free "taster day" is full of real content! Not only is this hypnotherapy taster day completely free, but by attending you will be eligible to receive a huge discount off our full NGH Hypnotherapy Certificate Coursefee! Come and find out what it means to be a hypnotherapist. Come and learn with the best in the business. Contact us to sign up to get your free place. 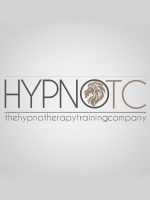 HypnoTC: The Hypnotherapy Training Company is a UK-based international training provider. Specialising in all aspects of hypnotherapy training, we are constantly striving to ensure that everything we teach (and the strategies we use to teach) are of the highest quality, meaning that everything we do is delivered to the best possible standard.